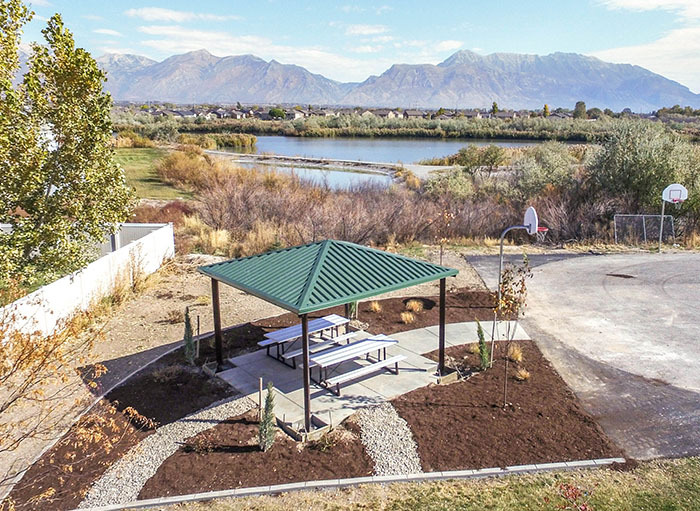 Is your public park in need of shade structures? 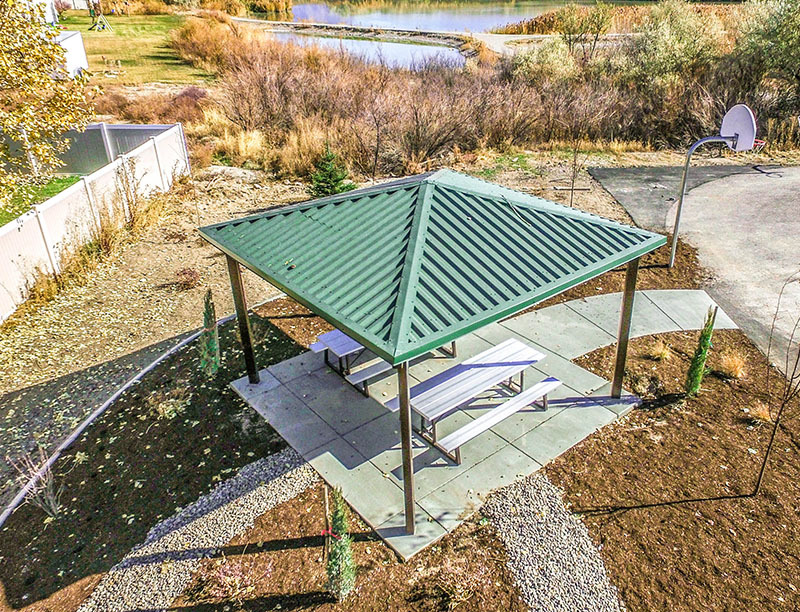 At Smith Steelworks, we design and manufacture durable pavilions all across the United States. Each structure is created to withstand heavy snow loads, wind, and more. Call (801) 414-1724 to get started with your order. We a proud to be a manufacturer of shade structures for commercial and residential areas. This allows us to give our customers the best price on steel, wood, lighting, etc. without the worry of heavy markups. Our team will work with with you from initial order to final shipment; no changing hands! No low hanging beams to prevent climbing. Different psf options to manage snow loads and wind. Mega rib or shingle roof type. Powder coat color options for the steel beams (and purlins). Besides providing beautiful color, powder coat also creates an impermeable barrier between the metal and outdoor exposure. This keeps the metal beams free from rust and corrosion. Learn more about the powder coating process here. What Is Included With The Shade Structure Purchase? Stamped, engineered drawings are included with every pavilion order. An LED lighting kit is available with most pavilion types. Our kits are the most economical way to buy the shade structure. This provides everything needed to construct the pavilion structure including: roof, beams or purlins, and more. Get started on your order today!